San Cassiano is a hidden gem in the gorgeous Italian Dolomites within the Alta Badia ski area. Here you can indulge in a ski experience like no other. Smart and elegant, rich in flavour and that’s just the food! San Cassiano is a hidden gem in the Alta Badia region in Italy, loved by clients and locals alike. The picturesque village of San Cassiano lies at the heart of one of the largest skiing areas of Europe. The Fanes Dolomiti Hotel overlooks the centre of this alpine beauty. The hotel is lucky to have fantastic views of the Dolomites and we can personally recommend its phenomenal spa facilities - it's very popular with our clients! The hotel has a typically Tyrolean feel and recently a large number of rooms have been refurbished. This hotel is great for families looking to ski in a modern but relaxed setting. Hotel Fanes is a true refuge from the day to day of your normal life. 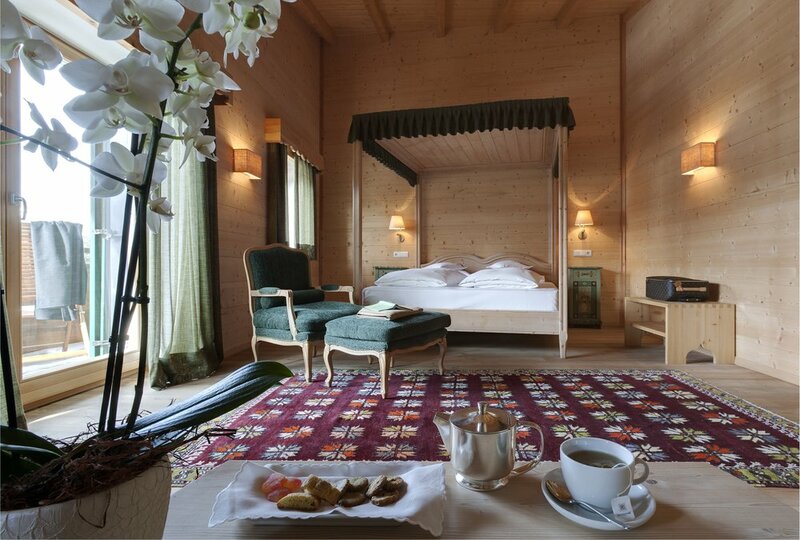 Taking a holiday in San Cassiano is an experience like no other. For an off-piste challenge, there is plenty to explore with a mountain guide, including the extensive skiing of Arabba and the Val Mehdi, and for those looking to rack up some miles on their skis, the Sella Ronda gives you a wonderful opportunity to enjoy the challenging 42 km circuit, all in one day! With our staff throughout the Dolomites, we can recommend some of the finest gems within this resort. The Ciara Salaries hotel is home to a delicious meat room with the finest cuts in Italy for you to choose from. After a delicious meal, you could even venture into the acclaimed Chocolate Room. With over 40 sorts of fine chocolates, you’ll be overwhelmed by the indulgent choices. The fantastic food choices extend to the slopes, with Piz Sorega serving traditional tasty dishes. Or if you're skiing near the Sella Ronda, why not visit the Piz Boe Alpine Lounge, a self service option near the Boe cable car. Stop here for a bite to eat, relax and enjoy lunch with panoramic views. San Cassiano has a huge wealth of things to offer, in terms of gastronomy and skiing. It’s great for families and even for a romantic weekend getaway. Get in touch with our expert Travel Consultants on 0203 5611 965 or request a brochure to find out more.